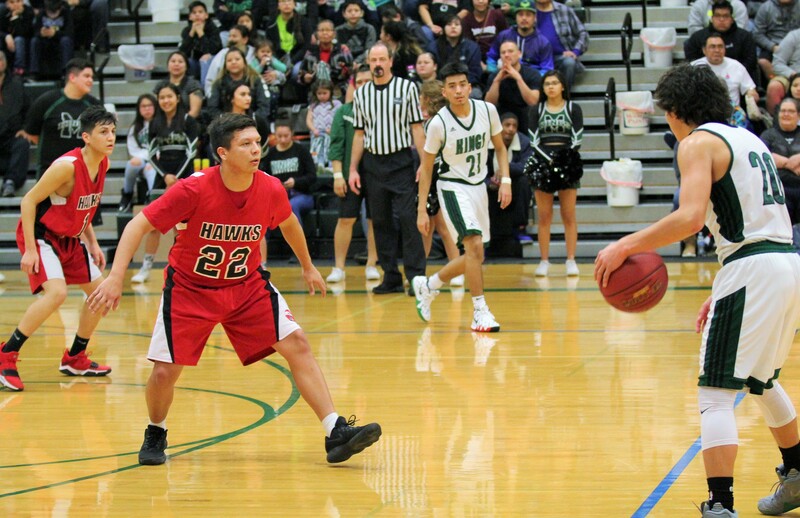 After defeating Pope John Paul II in the opening round of the Tri-District Tournament, the Tulalip Heritage Hawks (20-4) had two days to prepare for the #1 ranked Muckleshoot Kings. The game was played at Evergreen Lutheran H.S. in Tacoma on Thursday, February 15. Muckleshoot entered the game riding a 15-game winning streak and had earned the #1 seed in the tournament. Meanwhile, Tulalip was coming off an exciting home win, but they would be without two key contributors in Nashone Whitebear (ankle) and Paul Shay, Jr. (personal). In the early going, the Hawks held their own especially on the defensive end where they did a stellar job of keeping the high-octane Muckleshoot offense at bay. Muckleshoot averages 90 points per game and has hung a 100+ on five teams during the regular season. At the end of the 1st quarter, Tulalip trailed 7-14. In the 2nd quarter, the Hawks would get to within five points, 9-14, but then the defense that had been doing such a good job containing Muckleshoot finally gave way. In only a matter of minutes the Kings went on a 24-3 tear to end the 2nd quarter. Tulalip didn’t have the fire power to mount a comeback and without a full squad it was difficult enough to keep players from exhausting themselves on defense. Tulalip would lose the game 51-88. Josh Iukes led his team with 13 points, while Isaac Comenote added 9 points. Nothing helps a team forget a loss like returning to the court and getting a W, and the very next day, February 16, the Hawks played Mt. Rainier Lutheran in an epic clash. After a back and forth 1st quarter that saw the teams go bucket for bucket, the score was tied 15-15. Mt. Rainier got the Hawks in foul trouble and was knocking down their free-throws. The Hawks repeatedly sending their opponent to the free-throw line had put them in a 33-40 hole entering the final quarter. But in the 4th quarter, when it mattered most, the Hawks responded with one of their best stretches of basketball. They were contesting everything on defense and did it without fouling, while on offense Josh Iukes was controlling the tempo and finding his guys for in rhythm buckets. The Hawks won the 4th quarter 19-7 to pull off a crucial 52-47 comeback. Josh led all players in scoring with 17 points. The victory over Mt. Rainier Lutheran put the Heritage Hawks in the 3rd/4th place game where they would once again play the Lions from Cedar Park Christian. On the year Tulalip had only lost four games and of those four, three had come at the hands of Cedar Park. The inside presence of two strong post players and a highly talented guard had been too much for the Hawks to handle in their previous matchups. Would the fourth time be the charm? The answer would be no. The Hawks put up a good fight in the 1st half, matching the intensity of Cedar Park. The boys played their best quarter in terms of defense against Cedar Park standout Erwin Weary, holding him to zero buckets in the 1st quarter. That being said, Tulalip still trailed 21-31 at halftime. Then Erwin and Cedar Park got hot in the 3rd quarter to put the game away. 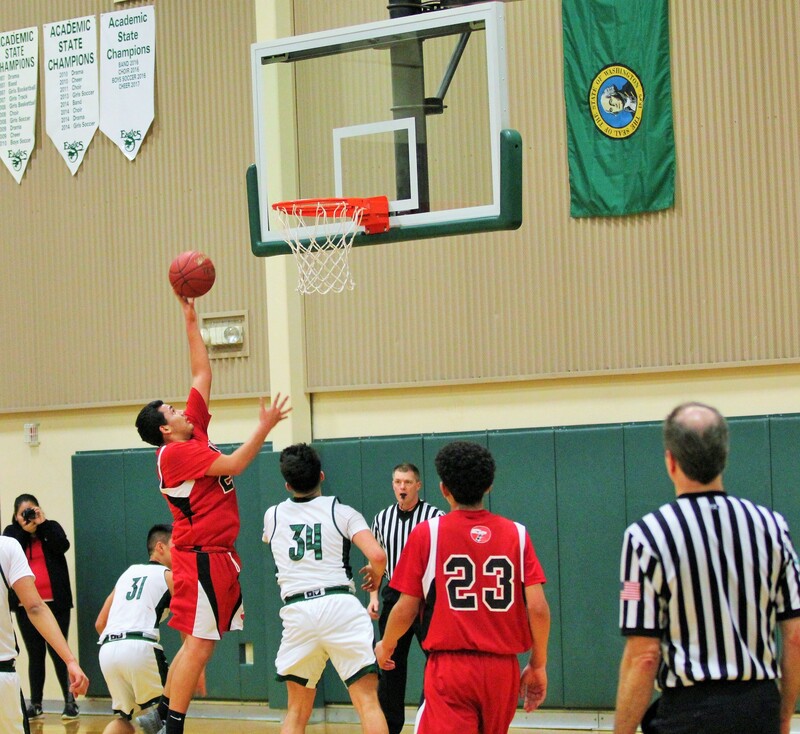 Tulalip was outscored 12-25 in the 3rd quarter and went on to lose the game, 50-68. Even with the loss, the Heritage Hawks had finished 4th in the Tri-District Tournament and clinched a berth in Regionals. They will play on Saturday, February 24, at 2:00p.m. at Jackson High School in Mill Creek. Their opponent is Pope John Paul II, a team the Hawks have already beaten once this year. If they win again, then they’ll be on to State. 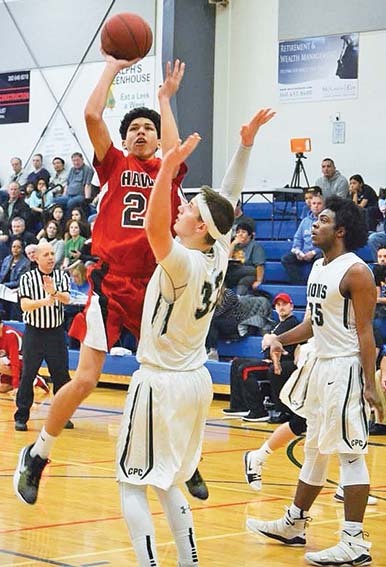 This entry was posted in News, Sports, Tulalip News and tagged Hawks, Tulalip by Kim Kalliber. Bookmark the permalink.